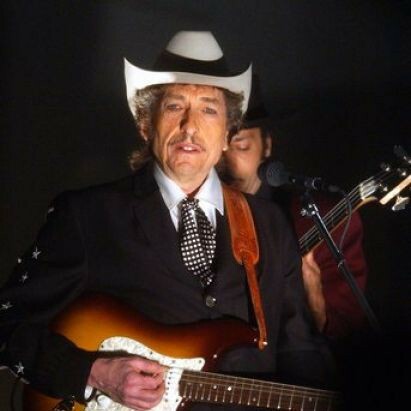 If I can skip ahead for a moment, I’ll note that I remember watching Bob Dylan sing “Masters of War” on the Grammy’s in the dying days of the first Gulf War in 1991. It must have been spring break, because I was at the home of my parents. They thought that the performance, to celebrate his lifetime achievement award, was awful – mumbling and incoherent. I remember thinking that it was great that he would use that stage to sing a thirty year old indictment of war profiteering at the moment in American history. I’ll listen to that performance again sometime around September and re-judge for myself. 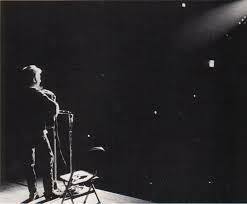 “Masters of War”, the third song on Freewheelin’, is extremely different from “Blowin’ in the Wind”. It’s an angry, bitter protest song that pulls no punches whatsoever. While Dylan often sings it as a dirge with repetitive guitar strumming, it can also be sung as a howl. It’s unflinching. I think that the one of the peaks of my early interest in Dylan came when I was in high school and the book Lyrics 1962-1985 was published. I still have this book – it has survived many purgings of my library at various times. I remember reading it in high school English classes, but also while on vacation with my family in Los Angeles (possibly where I bought it), and, in particular, reading those lyrics while driving up Highway 1. At sixteen, and listening increasingly to punk bands, I thought that this was a pretty great song. Today I find the song itself a bit repetitive and tiresome, even while I still admire the sentiments. It’s interesting to note that Odetta’s version – which makes it both longer and slower – dropped the final verse, which is the most bitter part of the whole thing. When I was young I thought that she just didn’t get it, but now I’m starting to think she was on to something. It’s an angry, angry tune – the only question is how biting you want to make it.